Hello my name is Georgina. I am a convert to Islam of over 13 years now, alhamduillah. My husband is of Kurdish origin and we have four children. I am often asked did I convert because of my husband which I find a curious question! There are many ways a person may be introduced to a religious way of life but the path to opening the spiritual heart I have found belongs solely between the seeker and the Source, our Creator, Allah swt. Life as a Muslim convert is a challenge, the journey is a test in so many ways it would take a thesis to explain! My love for psychotherapy has originated from this journey of faith, I have found it a great translation companion as I navigate challenges along the path. As well as my work as a therapist I am a Doctorate researcher looking at the lived experiences of converts to Islam. I also facilitate life skills workshops in schools and colleges for the Transformation Trust. As well as my therapy work my husband and I form part of a team that manages the Manchester Islamic & Cultural Centre (Masjid Salahadeen al Ayubi). My main role is counselling and support for converts as well as other administration tasks. My background has been full of experiences that you wouldn’t consider a Muslim to have experienced! I was born and raised with no religious faith, I have worked as an air stewardess, have backpacked in Australia and was a big fan of the 90s Manchester club scene (enough said about that!). My life has been up and down but nothing grounds me as much as my faith. Current: PhD Candidiate researcher at Metanoia Institute and Middlesex University. Research Topic : A phenomenological enquiry into the psychological experiences of female converts to Islam. 4 years Advanced Professional Training in Transactional Analysis Psychotherapy. 2010-2017: South Manchester Centre of Psychotherapy (SMCP). 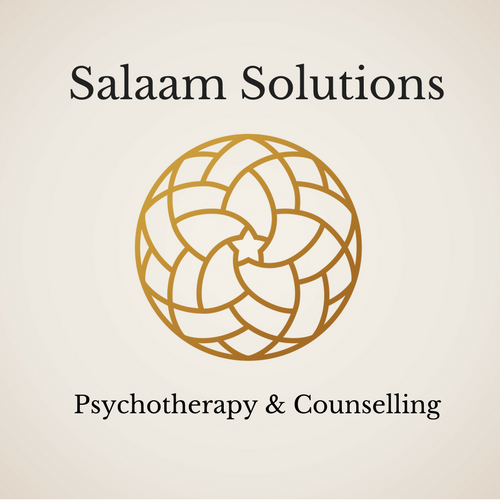 Individual, couples, and group counselling. Child and Young Persons Practitioner. Facilitator of early intervention strategies for positive mental health in schools with children aged 7-18 years. with The Transformation Trust in schools facilitating the Barclays Life Skills workshops. reverts and converts to Islam group therapy sessions. Salahadeen Al Ayubi Community Centre (MICC) 2014 – present.